· Excellent 4G speed: Download speed up to 150 Mbps & Upload speed up to 50 Mbps. · Make Video and HD voice calls with 4G speed: With the help of Jio4GVoice app. users can Setup (5+1) Audio and (3+1) Video conference calls through smart devices. · JioFi allows to connect up to 32 devices, but it is recommended to connect around 10 WiFi-enabled devices. You can connect 2G/3G smartphones, Laptop, 4G Smartphone, Tablet, Smart TV etc. 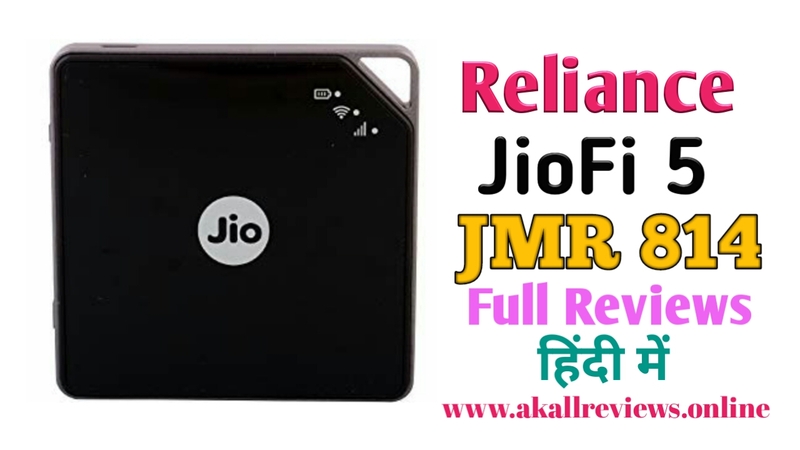 · By using Jio 4G SIM in your JioFi router, access high-speed 4G internet and there is one more interesting feature is, download “Jio4GVoice app”on your 2G/3G smartphones to make HD voice calls. · JioFi has a built-in powerful battery of 2600mAh, which provides around 7-8 hours of usage time. And in new JioFi M2S Model battery 2300mAh supports 5-6 hours of usage time.